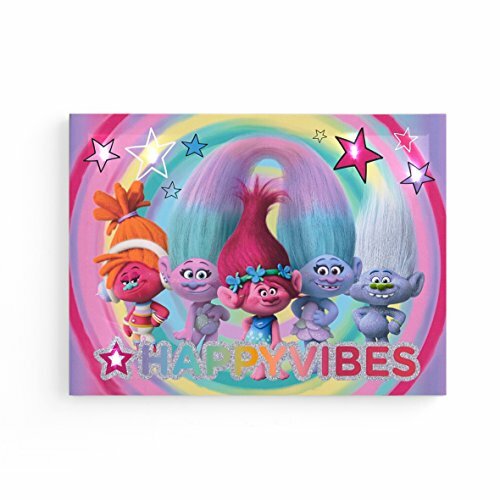 Dreamworks Trolls LED Canvas Wall Art Children's Decor by Dreamworks at Kids Home Warehouse. MPN: NK550655. Hurry! Limited time offer. Offer valid only while supplies last. Any Trolls Fan will want to Hang the Trolls LED Wall Art in his or her room! Wall Art is 15.75'' x 11.5'' that is perfect to hang in rooms of any size. Any Trolls Fan will want to Hang the Trolls LED Wall Art in his or her room! Wall Art is 15.75" x 11.5" that is perfect to hang in rooms of any size. Wall Art features LED lights that can be controlled with on/off switch.